B's Randall Auto Service Offers Auto Repair Services You Can Count On! 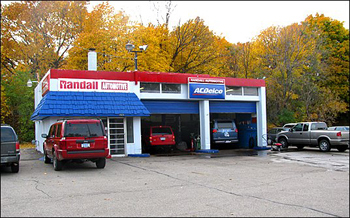 B's Randall Auto Service has been providing customers in the Lansing, MI 48912 area with high-quality automotive maintenance and repair services since 1982. Our experienced mechanics will get your vehicle up and running again, and we'll keep it in top operating condition. We provide a range of services, including 4x4 Services, Brakes, Car & Truck Care, Domestic Cars & Trucks, Electrical Services, Electronic Services, Engine & Transmission, Engine Maintenance, General Services, Heating and Cooling Services, Import Cars & Trucks, Miscellaneous Services, Transmission Services and Undercar Services. We're proud of our great mechanics, who have years of experience working on many different types of vehicles. They have the knowledge required to diagnose your problems, and to find affordable solutions to get you back on the road quickly. To learn more about our services, call us at 517-372-2886 or email us today. We're looking forward to earning your trust as a friendly, honest and reliable alternative for your auto maintenance and repair needs in Lansing. y son goes to MSU. Had other auto repair places in Lansing take advantage of us B's is Great!!!! Very honest and fair!! I recommend them to the many out of town MSU student's who don't want to be taken advantage of!!! Thanks guys. I truly appreciate your honesty. In a automotive landscape too often dominated by repair places that seem to jack up prices or try and sell you stuff you don't need, it's refreshing to find a place like B's Randall Auto Service. They are friendly, efficient, reasonable, and do good work. Very conscientious about the work they do. Great at analyzing complex problems. hey were very friendly, quick, and affordable. I got help that I would get from a friend. And they did not take advantage of me like some places do. Clear, Concise, and Reliable. Excellent honest service! Went to Tuffy's and Belle Tire first for a brake job and they were trying to stiff me. They were quick and stuck to the requested service. I paid exactly what I expected to. Fantastic service! The mechanics are very helpful. They really know how to explain the issue with your car in a way that is understandable! They give estimates based on each recommend service and which service is most imminent. Love this place, very trustworthy and fair! Great work, fast service and very reasonable price. Unlike other shops that charge a million bucks and tell you to fix this and that. B's will tell you exactly what you need and let you digest what you want to fix. I stumbled on B's because they're walking distance from my job, and have never considered another shop since. Brian and Tom are both fantastic- you usually get in fast and their turnaround time is amazing. They often come in UNDER the estimate for a job, and took time to show me a few tricks I could do at home to keep an old vehicle limping along. A complete old-school class act.